I have used B Plex with Phosphorylated B6 by Karuna Health for about 17 years, since my naturopathic Dr. recommended it, and I am not planning on changing it for any other. 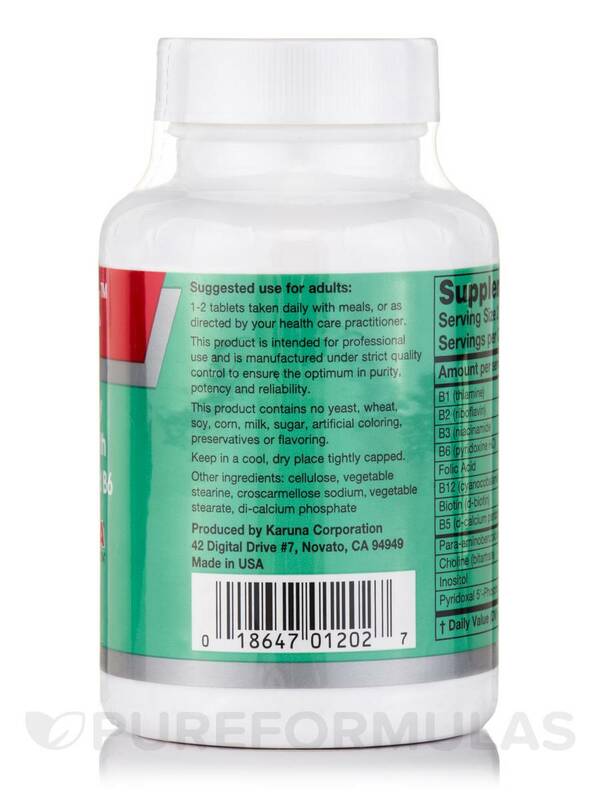 B-Plex with Phosphorylated B6 by Karuna Health is a high-potency B vitamin supplement that may work to promote overall well-being in several ways. First‚ all B complex vitamins are involved in converting the food you eat into fuel for essential bodily functions. Vitamin B6‚ vitamin B9 (folic acid)‚ and vitamin B12 may also work to maintain cardiovascular health by regulating the amount of homocysteine in your blood. Markedly‚ B-Plex with Phosphorylated B6 contains pyridoxal-5-phosphate‚ which is the active form of vitamin B6. In particular‚ B6 may work to support optimal brain function by helping your body manufacture certain neurotransmitters. 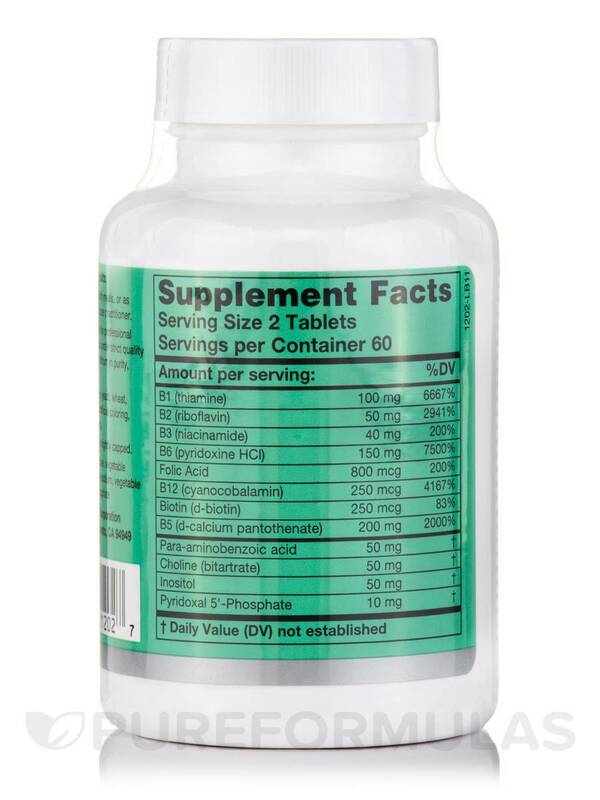 Since vitamin B6 aids in the production of the hormones serotonin‚ norepinephrine‚ and melatonin‚ this supplement may also play a role in managing your moods and sleeping patterns. Finally‚ B-Plex with Phosphorylated B6 is hypoallergenic and yeast-free. Take one or two tablets daily. 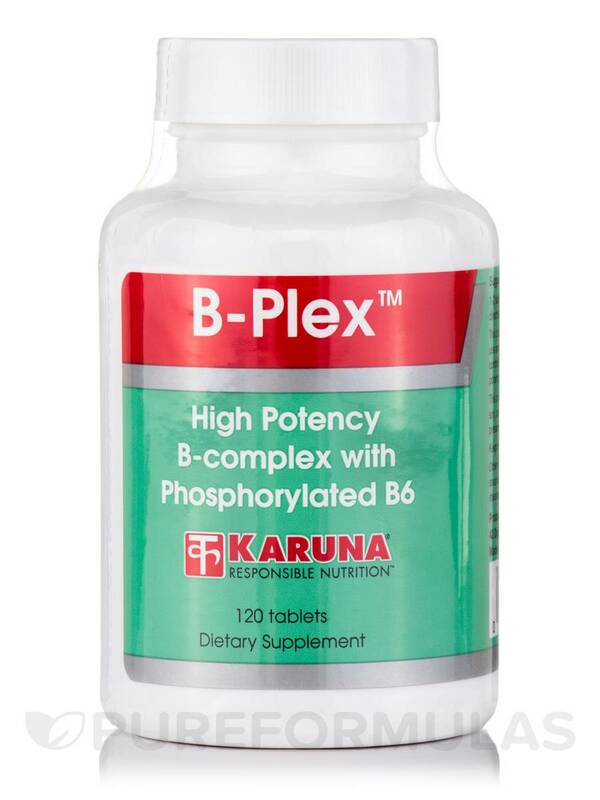 At the recommended serving size‚ each 120-tablet bottle of Karuna Health’s B-Plex with Phosphorylated B6 should last for 30 to 60 days. 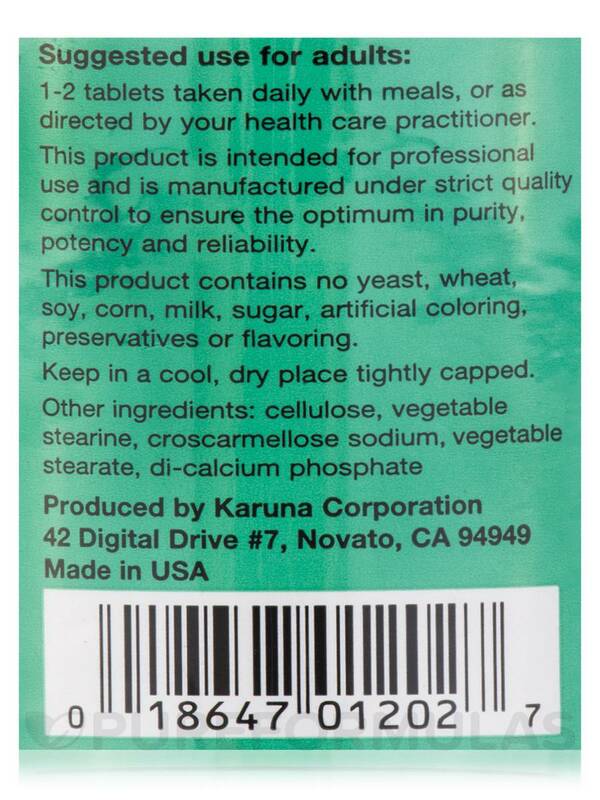 Cellulose‚ stearic acid‚ croscarmellose sodium‚ vegetable stearine‚ silicon dioxide‚ hydroxypropyl methylcellulose. 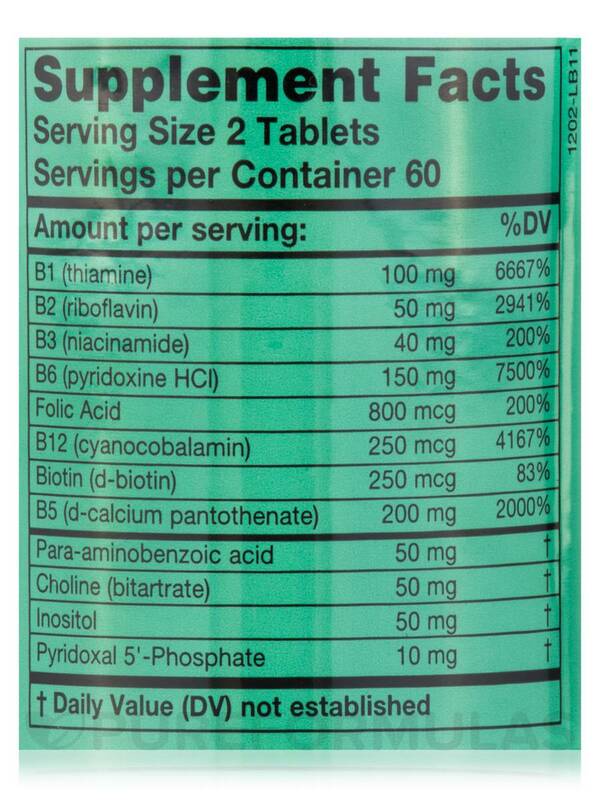 1 to 2 tablets taken daily with meals‚ or as directed by a healthcare provider. The best sourse of vitamin B.
I generally feel well, my nervous system is doing very good, sleeping well, and always happy. It works as expecting, is excellent quality, accessible, and a reasonable price.